Tanov, David Herrero, Hermanez, Bass Kleph & Filthy Rich, Rober Gaez & Ruben Alvarez and more. Hello everyone. 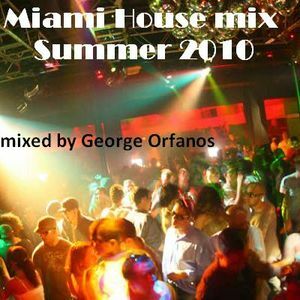 I would like to welcome you to my third work on mixcloud that contains twenty very "strong" Miami House dance tracks. These are the tracks that I played when I was working as a DJ in a bar - coffee in the summer of 2010. Well I wish you enjoy!